Today I want to talk about photography in churches, a subject that I’m not too sure brides and grooms are aware of but something that is being brought to my attention more and more, in fact I am now hearing this week in week out and felt I needed to write something about it. As you know I am constantly telling you that photography is one of the most important aspects of your day and that choosing the right photographer is one of the things you really need to spend time and money on. BUT have you ever considered that your photographer may not be be allowed to take photos of your wedding ceremony as the priest or vicar won’t allow it? Each week I hear stories from photographs who have been stopped by vicar’s or priests on the day of the wedding from taking any photos of the bride and groom during the ceremony………yes, NO photos!! The wedding ceremony, the most important moment of your married life not being captured on camera! 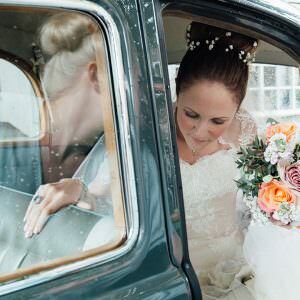 ‘When a bride gets in touch and she has booked a church for the ceremony, very early on I have to manage her expectations about ceremony photos, and this should simply not happen. I’ve been in business since 2005, and something that still shocks me, even with a couple of hundred weddings under my belt, is the reaction I get from staff and officiates at churches. Earlier on in business, I worried that maybe I was not doing enough to reassure churches that I was a discrete professional. I sent emails introducing myself, I made phone calls of introduction, I turned up at rehearsals, rehearsals that had meant I’d spent 90 minutes in rush hour traffic to get there, and more often than not, I have sadly been met with what can only be described as hostility. Wedding photographers though are a thick-skinned bunch, and I have in any of these situations, tried to learn where the hostility comes from. I reassure them I am a professional, and explain that the bride was expecting photos and will be bitterly disappointed to discover there will be none. Now in writing this I am certainly not saying that all churches are the same, as I know a lot of them are wonderfully friendly and more than happy to let the photographer roam free during the ceremony, capturing your day as you would expect it to be captured. However these horror stories come from photographers where the bride and groom had no idea that photos weren’t allowed until the ceremony had begun and it was too late to do anything about it. I will also say that it isn’t just churches, I have also heard stories of registrars not allowing photos during civil ceremonies. But why?? Why on earth would anyone stop your photographer, the photographer you have paid good money to from taking photos during the ceremony? Here are a few letters sent back to photographers from the churches themselves, giving reason why…..
‘This is a sacred act of worship and the photographer is required to respect the sanctity and dignity of the service. Permission to take photographs is at the discretion and direction of those representing the Vicar and Churchwardens at the service. Their decision about what is or is not allowed is final. Failure to comply with their directions will result in the photographer being required to leave the church. Liability arising from the photographer being unable to fulfil his/her contract will be the responsibility of the photographer since it arises from their actions. A photograph may be taken from the back of the church as the bride/couple enters. 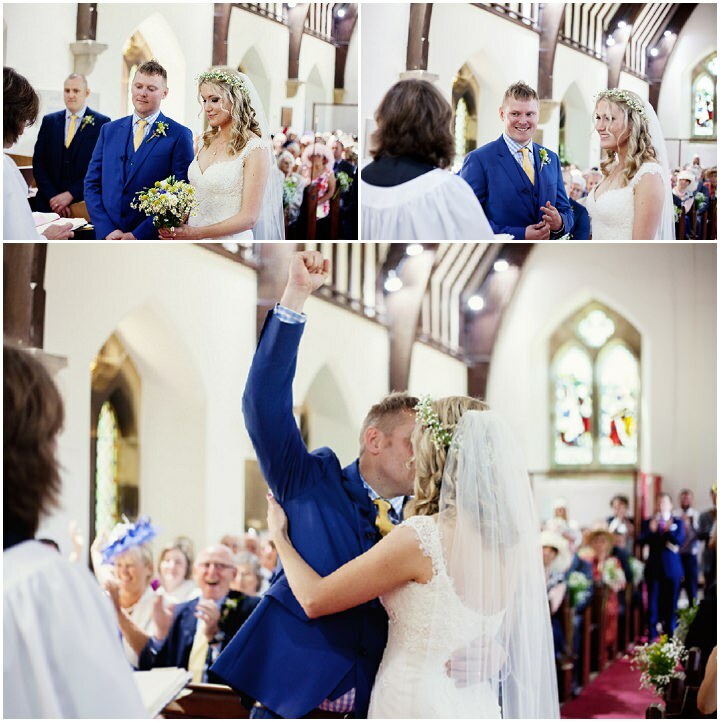 The photographer may not stand in the central aisle or next to the groom to take photographs. Any photographs taken during the service are at the discretion of the verger on duty and the minister conducting the service. If you are subtle you will be allowed to do far more than if you are intrusive. The determination of what is intrusive is the absolute preserve of the minister taking the service and the verger on duty. Photographs may be taken at the signing of the registers. Staged photographs immediately after the signing are permitted. ‘I don’t allow photographers to be in close proximity to the bride and groom at all in a Service, and not behind us. You’re most welcome to shoot without flash from the back and from the side aisles, but no further forward than the lectern and pulpit pillars – I’ll point these out to you on the day. I’m happy for one of you to take 3 only flash photographs at the end of the signing of the register, which will take place towards the end of the Service. I’ll give you the nod when we’ve finished signing and one of you is welcome to take 3 only pictures. ‘Our simple guidelines say that during the service itself you may work with one camera only, from the back, with the digital sound turned off and no flash. I will be working at the front to ensure that the couple are positioned so that you get the shots from the back. I will also do a set up for you after I have overseen the signing of the registers, which here takes place in the middle of the service and in the main body of the church. Being allowed to go anywhere as long as no flash is used and as long as you don’t get in the way of the ceremony and are very quiet. Unfortunately it isn’t normally until the day of your wedding that you get to find this out. I post lots of church weddings on the blog and you will see that some have lots of photos of the ceremony, while others will only have a shot of the bride outside the church and then one of her and her husband walking down the aisle once the ceremony is over. There is a huge difference. 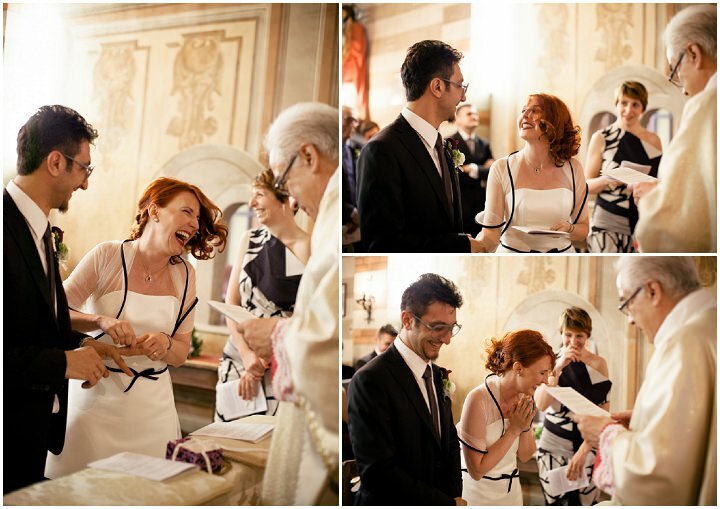 The first one captures the special moments of the ceremony, the exchange of vowels and rings, the family crying, all those amazing moments that can’t be re-created with a ‘staged’ shot. The other captures nothing! So what can you do to ensure this don’t happen to you? Talk to your priest or vicar before booking the church and finds out exactly what their policy is on photography during the service. Don’t be afraid to ask and if they say they are happy for photographers to go where they want then get this in writing if you can. The same goes for your registrar. 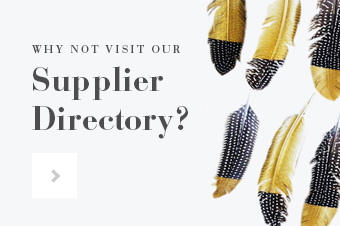 If you can try and find out who will be conducting your service and ask them what their photography policy is. If they don’t want photographs during the ceremony then ask for a different one. Find out if your priest or vicar will be the one actually carrying out the ceremony or if it will be someone else. Make sure they aren’t about to leave, or if there is any chance they will be replaced with a different priest who may hold a less liberal view. 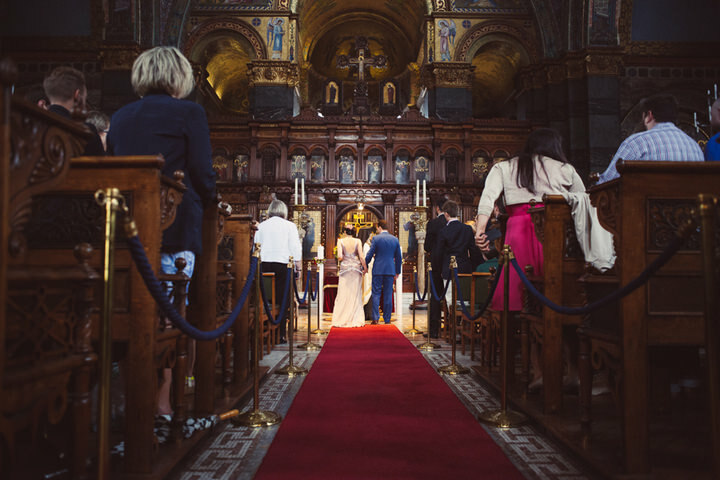 Ask your photographer to contact the church before to introduce themselves. This can sometimes work, but again as you can see from the letters above, sometimes an introduction can be greeted with only words of caution. If they do say no, have a backup plan. Are you happy to have the Church you want and forfeit your photos, or are you willing to stand up for your photos and choose a different church or registrar? If you are happy to stick to your guns then the church may step down. After all they are running a business as much as everyone else is. I realise this is a very contentious issue. I am by no means targeting every church as I know there are a lot of really good ones out there. I also realise that on some occasions it is the bad photographers who are at fault. Photographers getting in the way, being loud, having noisy equipment and big lighting. However most are discreet, quiet and do their best not to get in the way. I really do want this to stop happening! I’d hate to be a bride or groom who finds out on the day of the wedding that their lovely church who they have paid good money for won’t allow photos. So I really want this situation to end. I would LOVE to hear from you if you have any solutions to the problem, as I know we have a long way to go with it. I’d also love to hear from you if you are a bride who got married in a church, what was your experience good or bad? Or maybe you are a photographer with a story to tell? I’d also love to hear if you are planning a church wedding, is this something you have considered? Or had experience with already? 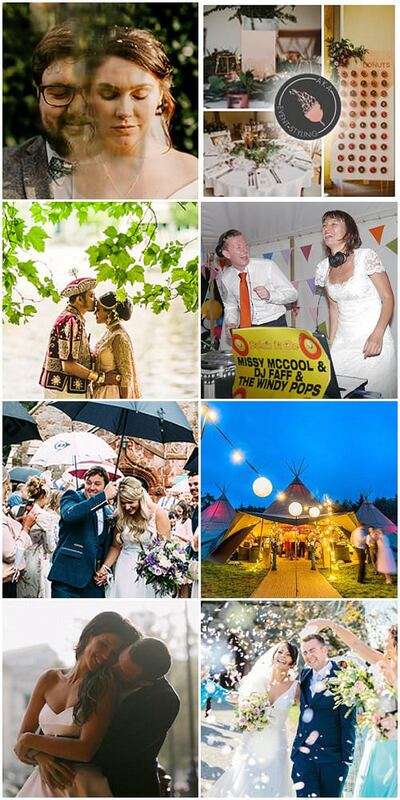 Wedding Planning Wednesday: I’m not having a Photographer at my wedding as our Budget won’t stretch………..think again! Here are a few ideas. Great article! As a photographer, I can totally understand and appreciate the points raised by the church, but to not tell the couple that photography is not allowed until the day of the wedding is really unfair on the couple. It would be great if churches could be upfront about this, so that couple could make an informed decision. I think it’s a shame when a church won’t allow photography but if they have informed the client of this from the off, then fair enough. What infuriates me is when the church tells the couple that photography is fine and then you turn up on the day (even having spoken to them in advance sometimes!) to be told something different. You then become the person that has to break the bad news to the couple, which seems very unfair. Thanks so much for bringing up such an important subject Kelly! Often times we work with some fabulous vicars. For example, this last weekend – the vicar was a total dude. He was happy and joyful and totally respectful that we were there to do a job in a professional fashion and be instrumental in recording the keystone moments of the day. Sadly, this is not always the case. 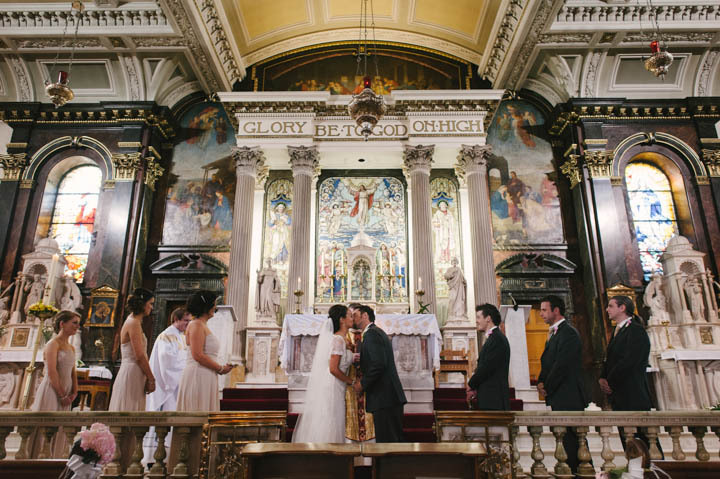 We have even had a bride who attended a church very far from her home every weekend for a year so she could get married there as there was a gorgeous fresco at the back – only to be told on the day that no photos were allowed. Now, the vicar knew all year that this was why the bride wanted to be married in this particular church – yet she said nothing – at all – until the day of the wedding. GOTCHA! We have unfortunately been on the other end of thinly veiled hostility on more occasions than I care to think about and I can’t help but think we are being at times treated in a way not in keeping with the doctrine of the church. Surely vicars have had to endure less than professional behaviour from some ‘pros’ out there (and even more from people who are taking photos as a ‘favour’) – but isn’t patience a virtue? I have definitely had to develop patience with overly enthusiastic guests at times but I have never treated them with hostility. I take every wedding and every guest as an individual and I think vicars should take photographers as individuals as well. 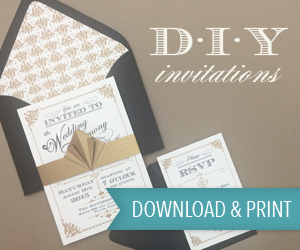 We have always tried to work with vicars (we always send letters of introduction, etc.) and we most certainly understand that the ceremony should be focused on the marriage taking place and not become a photographic circus. Yet, there are times when no matter how hard we try to impart our respect for the service to the vicar – we are ignored. 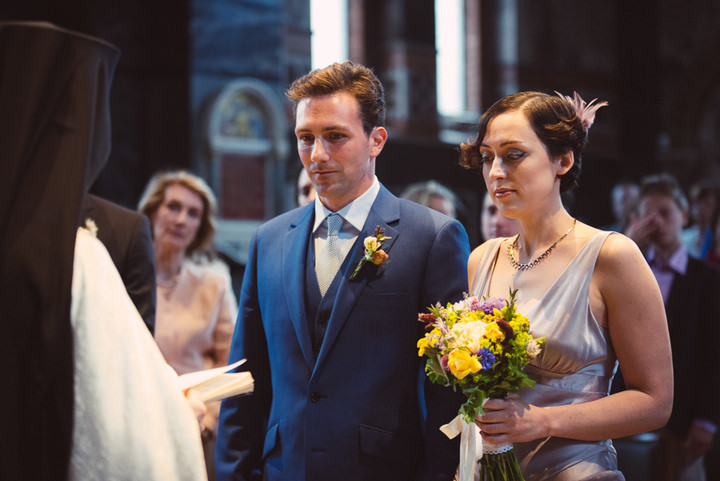 Weddings are a joyous – happy occasion- that couples choose to celebrate in a church and as it is a huge moment in the life of their relationship – they have chosen to have the smiles and the tears documented for generations to come. The vicar should respect that. As years go on we see less and less church weddings taking place and I cannot help but think that this kind of unwelcoming attitude might be a part of this trend. Thanks for highlighting this Kelly. Numerous times I turn up at churches to be told that I have to stand at the back or I’m not allowed to shoot at all. During my initial meeting with my brides and grooms, I always mention that they should check with their officiant and they always do. But their are plenty of vicars out there who say that photography isn’t a problem… then I turn up at the church and they’ve changed their mind. I don’t use flash in church, I am very discreet and most of my clients hate that awful mocked up signing shot. I am not without respect for the sanctity of the marriage ceremony, but surely if the bride and groom want images of one of the most important moments of their life documented, it is up to them… not the clergy. On the other hand, I have met some amazing vicars and ministers in my time who have been courteous, friendly and downright amazing when it comes to photography during the ceremony. If the church doesn’t want you to take photographs, then they should definately tell the bride and groom at their initial meeting so at least they are prepared for that fact rather than have me turn up and be told no photography five minutes before the brides walks down the aisle. I TOTALLY get that first and foremost the aim of the ceremony is for two people to get married. It is a religious ceremony and actually.. it being captured photographically is actually a kind of bonus (in the grand scheme of things). But if a couple have decided that they want that bonus and have paid me to capture it then I want to capture it to the best of my ability. I am always professional.. I stand as still as I can, I’m as quite as I possibly can be, I don’t use flash and I am genuinely enjoying watching these two people getting married just as much as all their loved ones. But over the past 4 years we have had every type of reaction from both churches and registrars. Don’t get me wrong.. some are absolutely lovely and welcoming and helpful.. BUT when they’re not it really is actually quite upsetting. I make a point to go and introduce myself to whoever is taking the service and I am often met with instant hostility… actually, no.. it’s more like plain rudeness. I’ve been barked at as if I’m a naughty child.. been told I would be kicked if I moved.. and generally been talked to in a way that I wouldn’t dream of talking to anyone. I then have to spend the rest of the ceremony feeling upset, angry, emotional and at the same time trying to respect the wishes of the church/registrar and also try to fulfil what the couple are paying me for. Also I’ve seen many vicars/registrars be wonderfully friendly and chatty to Bride/Groom then literally turn around and thunder at me.. so a lot of the time Bride’s and Groom’s will say to me how friendly they are and that I should be fine and then 2 mins before the ceremony I get told one photo when they come in, one on the way out.. stand at the back and don’t move. To be totally honest it just makes me angry that we can be treated as if we’re doing something wrong. A church especially should be welcoming to everyone.. it should be a happy place.. good will to all men etc.. but I’m afraid to say that we often see a very different side. I value myself to be a kind, thoughtful person who has everyone’s else best interests at heart and it’s actually really hurtful to walk in somewhere and be instantly judged and treated accordingly. 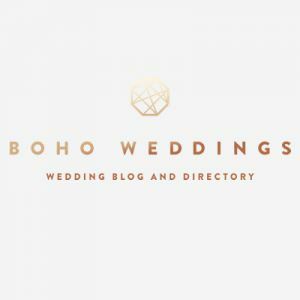 It actually makes us slightly reluctant to say yes to church weddings as it’s just not a nice feeling.. it just can put us in a real difficult and uncomfortable position when it really doesn’t have to be that way..
Echo exactly what Laura says above. It’s so frustrating to arrive at a beautiful church early to meet a Vicar/Registrar that says you can’t take any photographs of the ceremony, usually followed by a “We had this one photographer……” story. I have started flagging the issues up with couples as soon as I find out they’re having a church wedding. Bit I have been put in the unenviable position of having to tell the bride/groom that I can’t take photographs, which doesn’t exactly make for a great atmosphere during the ceremony. What annoys me when this happens is that you’ll see guests snapping away on their phones and flashes going off throughout the ceremony, and I’m stood at the back threatened with being ejected from the ceremony! On the other hand, I have met registrars and vicars that couldn’t be more accommodating, seemingly understanding that the couple want memories of their day. I do think as a photographer I have to make brides and grooms aware that it can be an issue. In our experience the churches automatic reaction is a defensive one, to preserve the sanctity of the occasion, or possibly in response to previous negative experiences. However once they begin to appreciate that we are both respectful and willing to do as we’re told those defences quickly come down and limitations loosen. I think the letter above does represent this same process, it starts very formally but once they’ve got past the ‘official line’ the understanding humanistic nature that saw them join their chosen calling, comes through. As long as your photographer demonstrates patience in listening to ‘the rules’ they shouldn’t experience too many problems. A typical restriction however is that they do not like the use of flash, both from the professional photographer or guests and for the photographer to go behind the priest. Very nice article…. Keep on sharing some useful informative articles like this…..
Great article Kelly and it’s right that couples should be aware of this. I can’t read add much to what you’ve said and I would second Emma’s comment to. In my experience 90% of churches are fine. I dread encountering the other 10%. Frankly I will never get the viewpoint. I understand that the marriage ceremony is sacred but I don’t see how the respectful, discreet way I work detracts from that. Every couple wants ceremony photos so laying down the law only serves to deny them that. Excellent comment from Emma. I do understand that officiants might be jaded from working with obtrusive photographers but I’ve also been spoken to as if I’m stupid, or told off. At the end of the day we’re all trying to do the job that the couple who has booked us has paid us for. Well done Kelly – I’d imagine this feature took a lot of planning and research and I liked the way that both sides were presented. I would agree that some of the nicest images (and memories) from any wedding are those taken during the ceremony, so it would be nice if the church could take the time to work together with photographers to get the best results for everyone. Before I go, I have to say, your quote here is priceless “I am by no means targeting every church as I know there are a lot of really good ones out there.” Love it! I have thankfully had the pleasure of working with some exceptionally lovely, kind and welcoming vicars, priests and registrars. It just makes everyone’s job easier and the day simply a lot more pleasant. If clear guidelines are set beforehand and explained to the couple in advance I see no reason why agreements cannot be made that suit everyone. Great subject Kelly (and thank you for the images you shared of ours). Also some great responses, Emma and Laura your comments were spot on. The first time we meet our couples (after we have had a nice chat) and find that they are getting married in a church we ensure we ask if there are any restrictions on photography. 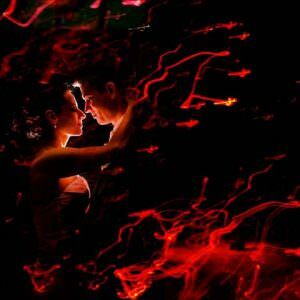 A majority of our couples have no idea which is fair enough (why should they?) and make it their mission to ask for us. We also include it in our contract that we need the officiant to be asked or to be provided their details so we can ask on the couples behalf.This ensures that there are no surprises on the day, or at least that the couple know well in advance what to expect. We don’t use flash but can completely understand how obtrusive this can be, we know that our professional equipment can deal with the low light levels often found in churches and prefer natural light. However I’m sure that most officiants have come across newbie photographers with AF beeps, kit lens focus robots and pop-up flash coming from all angles, so to a certain extent I can understand how they can feel about photographers! Having shot weddings in a number of different countries across different cultures and religions I honestly believe it comes down to the officiants previous experience with photographers. I still find it odd that an average sized church wedding can have all sorts of restrictions, from no movement to no flash or images of register signing and then somewhere as well known as Marylebone town hall have no restrictions at all? 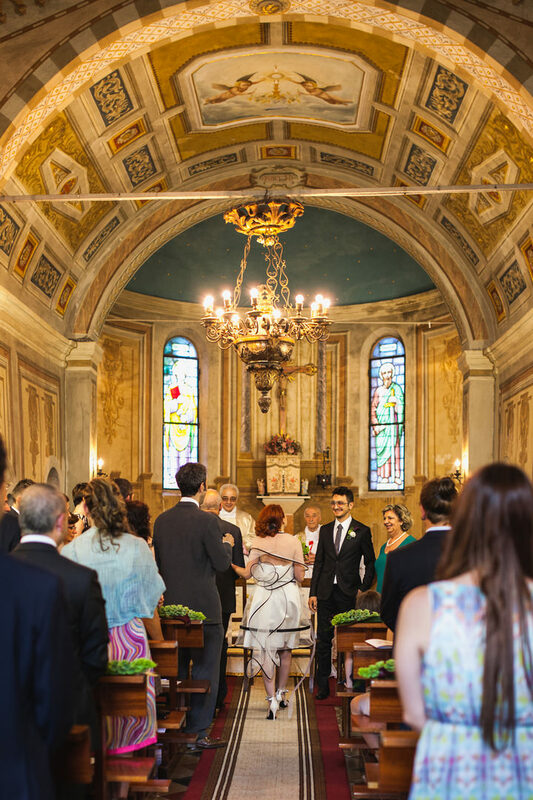 We recently shot another wedding in Italy which was a lovely traditional ceremony, our Italian could be better and when the priest started waving his hands at us we honestly thought it was because we were not allowed to take images of the register signing. It turned out he was positively encouraging it! The important thing is to educate your couples and between you ensure you know if there are any restrictions well in advance. Meet the officiant before the day if possible and reassure them. If they still restrict you make sure the couple know about it before they wonder where all the missing images are. As a documentary wedding photographer it’s always a shame when I’m not allowed to photograph the wedding service in a way I would choose to get the best results – or at all. It leaves a big hole in the story of the day and it is, in fact, the whole point of everyone coming together to celebrate. I’ve always warned couples ahead of the day to check out what the particular church or registrar’s attitude to photography is as I point out I’ll never argue on the day. That would make more of a scene. I will always try to reason and talk about the low key, unobtrusive way I photograph and this has been successful. But occasionally you are banished to the back and guarded by a Verger. It’s a shame for the couple and a shame for organised religion that a few have to spoil it for the rest. Beautiful photographs of couples pledging their troth before God must be great PR for a shrinking Church. A good read on the whole but I must say that it is not just churches that can be anti-photography as some registrars are just as jobsworth about photography. And a lot of the time you will not meet a registrar until 30 mins before the ceremony and then they drop the bombshell on you. Churches are fantastic places and we should respect their views so articles like this can only help the interaction between all parties to be a more harmonious one regarding photography. Although by far the large majority of Vicars are friendly and welcoming to photographers there are a few rotten apples out there that cause a lot of ill feeling. Over many years of photographing weddings I’ve found that individual Vicars and Churches can change their minds from one day to the next. There is no consistency and I can only conclude it depends on the mood of the Vicar on the day and whether or not they like the couple. I do feel for my couples when the Vicar pulls the age old stunt of being all friendly and accommodating right up until the morning of the wedding and then unilaterally changes everything that has been agreed. I’ve seen it too many times for it not to be part of their game plan. Please, just be honest with the couple BEFORE you take their money. I’ve had so many registrars and Vicars (hate to say mostly female) treat us terribly, say really unkind things and be very judgemental, threaten us with stopping the service if we take a picture or even move! I’ve had vicars give me the eye throughout services just waiting for the moment to pounce… Like they want to blame us for interrupting the service even though we have (unwillingly) respected their wishes (obviously not the couple’s). What I cannot understand is why? The couple pay the Church, shouldn’t they be able to have a choice?… It’s their wedding, it’s not a normal church service. I really struggle to get my head around the thinking of these Vicars & Registrars. I even was stopped taking photographs by a registrar at an outdoor ceremony… It’s horrible :( What is the solution? Do the couples just need to be more firm? If the couples are not aware of this then surely this is not right and they should demand a refund from the registrars and/or Vicars/ religious leaders. I’m so frustrated just thinking about it. I had a 2 couples recently who were unaware that their registrar and Vicar had told me not to photograph, the couple kept looking at me with that look of..why are you not taking pictures? Afterwards when I explained they were quite upset… Why are these registrars and Vicars wanting to upset a couple on the most important day of their lives?! It’s heartbreaking. I am really put off by the behaviour of many registrars/leaders of ceremonies, and just absolutely love the one ones who think about the couple first and allow THEIR ceremony to be photographed, this helps the day run much more smoothly. Thanks for bringing this subject up Kelly, I hope it make couple more aware and they choose more carefully. Wow! In my contact I do not state whether photographs can be taken or not, maybe I should add a clause. I’ve always allowed photos. This is a day that is not about me, but about the Bride and Groom and what they want. After reading the comments, I must say, I have been blessed with very polite and quite photographers. Yes, I hear the shutters, see flashes; nothing that breaks my concentration. Thank you ALL who have worked with me and may have commented, for being polite, quiet, and capturing all the photos the Bride and Groom have discussed with you. PS: I have wanted to ask this question for a long time, this blog full of photographers might be the place. Is it appropriate for the officiate to ask for copies (and pay for them) of the officiate and couple? My own scrape book of officiated weddings is lacking due to not asking or being offered photos. As I have not wanted to offend, I did not ask. Thank you for sharing this bit of etiquette decorum. Thank you for your comment. I do appreciate the reply. I always check ahead of the day the photography requirements, it’s a part of my planning. To date I have thankfully only encountered amenable venues. My only disappointmant was a church service where the priest wouldn’t allow me to stand just three steps further forward than where he wanted me. It did restrict my viewpoint, but the couple saw and heard my “pleas” at the rehearsal and understood I had no choice! The key is to check, ask and make sure the couple are aware of the rules. I did find the church experience frustrating as I know I am a quiet and respectful photographer, unfortunately the venue doesn’t allow know that till they have seen you in action. Hi Rev. Cindy Lee, It’s nice to come across someone like yourself, a breath of fresh-air! Generally I’m happy for a wedding to be photographed by a professional photographer. However, the comment above, “most are discreet, quiet and do their best not to get in the way” is not always the case. I always ask to talk to the photographer in advance, offer to show them the church and work out points where the unique pictures to that building can make a difference etc. After all, I know the building better than they do. Sadly, it is probably up to 50% of the time that I’ll have that chat with the photographer, agree how we can work together so they get their pictures without disrupting the service, and then they will do what they were going to do anyway, which I find disrespectful and rude. When I see a couple being distracted by the lenses and huge flash masks and the movement and the noise (you may not realise, but shutters echo in stone churches and I can hear every one of the hundreds of clicks), that becomes intrusive and takes away from the atmosphere of the worship. It is then compounded when guests say to me afterwards that they found the constant clicking, the bouncing up and down and moving across the line of sight spoiled the reverence of the service and the focus on the bride and groom in that moment. You may be reading this and thinking “That’s not me”, so In the interests of balance I will say that there have also been many excellent photographers that I would be delighted to welcome back. My aim is to conduct a service of worship that is reverent and joy-filled where the photographs record that, not a photo-shoot with a pretty background attached. We can achieve it if we work together, and I would encourage everyone to talk, agree in advance what is and is not possible, and then to enjoy the day. Professionalism on all sides will usually achieve success (and yes, I’d love to see the pictures – I was there too! ).